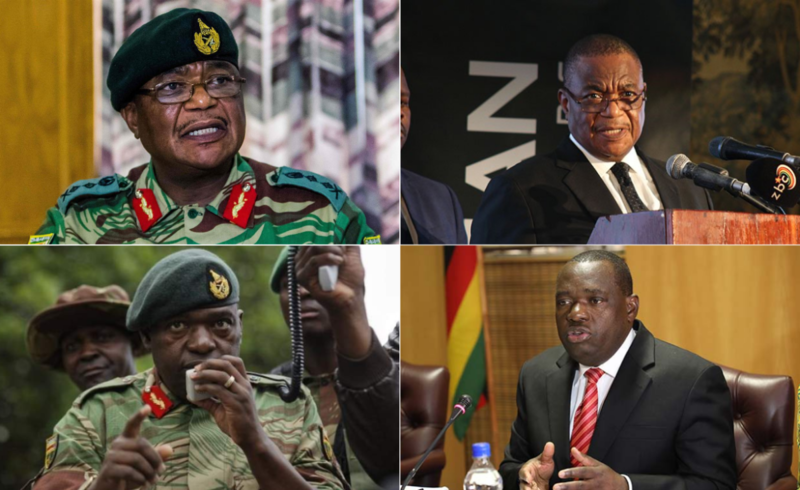 COLOGNE/VANCOUVER/HARARE-The game is all but over for President Emmerson Mnangagwa’s young presidency, as hardline army generals are reportedly said to have read the riot act to him, over a sheaf of serious issues caused by his leadership seen as compromising national security, resulting in Mnangagwa allegedly offering to step down to avoid a flood of political chaos in the country, Spotlight Zimbabwe, can exclusively reveal. Intelligence sources close to the Office of The President and Cabinet (OPC) said the securocrats, who include serving and retired generals close to vice president, Rtd General Constantino Chiwenga, fired the warning shots to Mnangagwa on Tuesday after they informally met among themselves for a security briefing, as it’s now emerging that VP Chiwenga it might seem, is running a parallel unit of the Joint Operations Commnad (JOC), which is full of high ranking military officials still loyal to his command. Chief among the generals concerns based on military intelligence findings, is Mnangagwa’s failure to fix the economy, which they believe is likely to cause “the mother of all civil revolts” in the country’s history, as inflation continues to soar at an all time high of 59.39 percent as of February 2019 according to Trading Economics, while the so called transitional RTGS currency is fast losing value with a current exchange rate of RTGS$1 to US$3,0675. Fuel queues have resurfaced across Zimbabwean cities and towns, with Harare holding the dubious record of being home to the world’s most expensive petrol. The average price of petrol around the globe is $1.12 per litre, yet Zimbabwean motorists suffer an exhorbitant amount of $3.40 per litre. As first reported by Spotlight Zimbabwe on 17 October 2018, Mnangagwa was warned by the army to urgently put the nation’s economic house in order, as they feared a possible popular uprising over his embattled regime’s extortionate taxes, uncontrollable price escalations, and growing shortages of fuel and food, all which he has dismally failed to arrest. Other political hot issues raised by military intelligence include Mnangagwa’s move to compensate white farmers for losing their land under former President Robert Mugabe’s fast-track land reform of 2000 at a time government is broke, as his administration through the ministries of agriculture and finance annonced on Monday that it would start paying compensation to the former white commercial farmers this year, with a $17.5 million budget already in place to allow initial payouts to those in financial distress, while full compensation will be paid later. 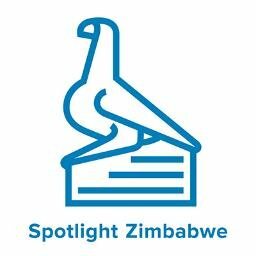 Zimbabwe’s white farmers are credited with turning the country into Southern Africa’s bread basket during the economy’s heydays, when surplus produce was exported to the region and beyond. The sources also said one retired general currently serving in cabinet had also been told about a possible capture of the presidency by the finance ministry, as most of Mnangagwa’s policy pronouncements now appear to be the brainchild of the finance minister, and this has reportedly infuriated Chiwenga. South African opposition leader, Julius Malema of the Economic Freedom Fighters (EFF) came out guns blazing against Mnangagwa on Wednesday, saying his decision to compensate white farmers was a “sell-out position” warning that he is unlikely to remain in office for long. “It’s a sell-out position, Mnangagwa is selling out,” Malema said during a news conference in Johannesburg. Another South African, renowned political commentator on Zimbabwe, Professor David Moore, from the Faculty of Humanities Department of Anthropology and Development Studies at the University of Johannesburg, has previously echoed the same sentiments as Malema, telling South African television station eNCA in an interview on Zimbabwe in August 2018, that Mnangagwa will be lucky to remain in office for the next five years. Last month we reported that, a special delegation of senior military officials reportedly told Chinese generals that Mnangagwa’s political reign will expire in 2020, and that he was going to be an interim caretaker president up to the period, before the military replaces him with their preferred successor, a few days prior to ex-ruler Mugabe’s November 2017 coup. Today we can also report that VP Chiwenga if all goes well, will be the next Zimbabwe president should his military confederacy insist that he takes up the position. There are also reports that foreign affairs minister SB Moyo and agriculture minister Perence Shiri, are likely to land very senior positions in a Chiwenga government as vice presidents in the presiduim. There also has been speculation by online reports, that the country’s richest man Strive Masiyiwa, might also land the vice presidency and is being considered to play a key role in a looming post-Mnangagwa dispensation. The Zimbabwe National Army (ZNA) public relations department yesterday said they had no clearance to comment on our story as all matters concerning JOC are best addressed by the defence minister. We knew this was coming. A full military government is about to take over. Good luck in 2023 Zimbabwe. Mnangagwa is no son of the soil. The LORD Himself is removing him from office for auctioning our beautiful country to our very adversaries. The writing is on the wall. Mnangagwa is unpopular and hated by the electorate in Zimbabwe. Only his globalist handlers support him.